The mere mention of Friday can trigger ideas of new explorations: shopping hauls, dinner with friends, parties and the like. Unfortunately, as our lists of responsibilities grow - job, spouse, kids, etc - most of these Friday dreams fade into obscurity. My remedy to that is the Friday Fix. It's a treat - a reward - to be enjoyed alone, or with someone else. It can be simple or extravagant. The only requirement is that is that it be out of the ordinary, and thoroughly enjoyable. 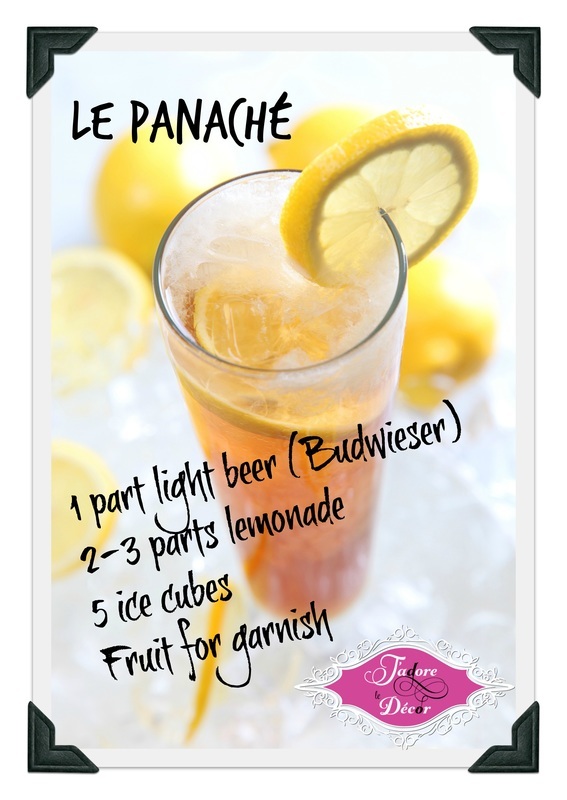 This Friday's Fix is a French apéritif called the panaché (pronunced pa-na-SHAY). An apéritif is an alcoholic beverage usually served before a meal to stimulate the appetite. But it can also be served after a meal, in which case, it would be called a digestif. This drink was introduced to me by one of my Parisian buddies. It is simple, and oh so refreshing.